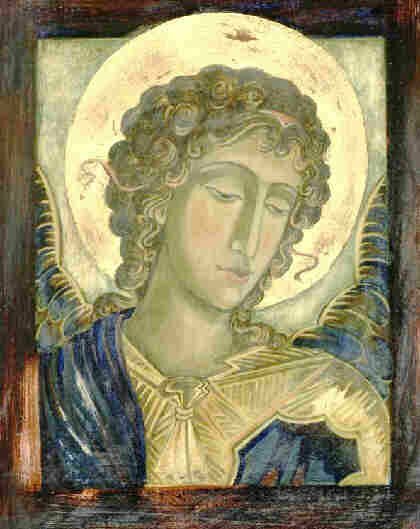 Gabriel, arguably the best known of the Archangels, is the name given to the heavenly messenger God sent to explain to Daniel the visions he saw (see Daniel 8:16; 9:21), who announced the birth of John the Baptist to his father, Zacharias (Luke 1:11-20), and who spoke of the Messiah to the Virgin Mary (Luke 1: 26-38). While Gabriel and Michael are the archangels who figure most prominently in the Bible, it could be argued that Gabriel’s role is the better developed. In the Old Testament, he is mentioned by name in two visions of the Prophet Daniel. There he explains to Daniel no less than the future of Israel. Tradition credits Gabriel with inspiring the Prophet Moses to write either Genesis or the entire Pentateuch. Later Jewish Rabbinical literature tells us that he was the angel who taught Joseph the 70 languages needed to rule in Egypt, but this is not in the Genesis account. 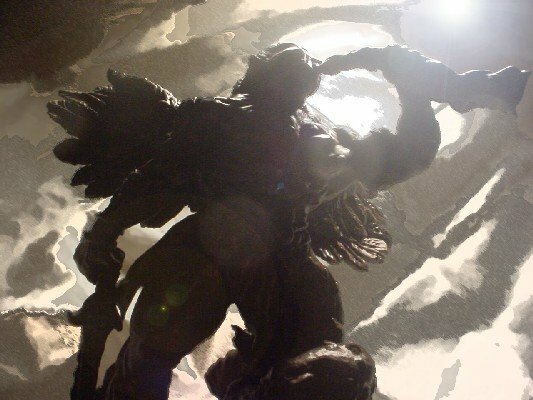 The Scriptures gives us no information concerning Gabriel’s relation to other angels and archangels, but in the Book of Enoch, “the four great archangels, Michael, Raphael, Gabriel, and Uriel,” are described as reporting the corrupt state of mankind to the Creator and receiving their several commissions. 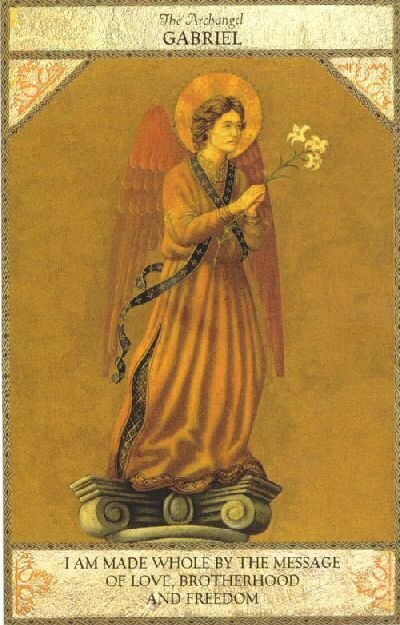 In rabbinical writings Gabriel is represented as standing in front of the divine throne, near the standard of Judah. He typically wears blue or white garments; he holds a lily (representing the Mary), a trumpet, a shining lantern, a branch from Paradise presented to him by Mary, or a spear in his right hand. He often is depicted clutching a mirror –made of jasper and with a X (the first letter of Christ’s name in Greek)—in his left hand. Muslims regard Gabriel with profound reverence. They believe that Allah committed to Gabriel a complete copy of the Koran, which he imparted in successive portions to Muhammad. He is called in the Koran the Spirit of Truth and the Holy Spirit, and it is alleged that he will hold the scales in which the actions of men will be weighed in the last day. 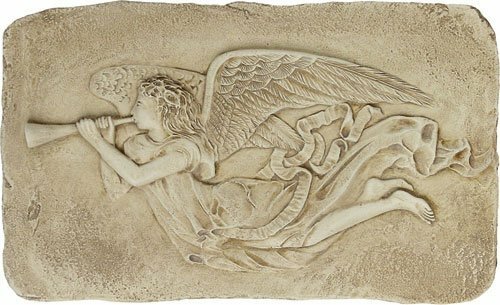 Folk tradition tells us that Gabriel selects souls from heaven to be birthed into the material world. After this selection process, Gabriel then spends the next nine months as the child develops teaching the new entry into the world what he or she will need to know on Earth. Just before birth, Gabriel allegedly silences the child by pressing his finger onto the child’s lips, and in the process, creating the cleft below the person’s nose. 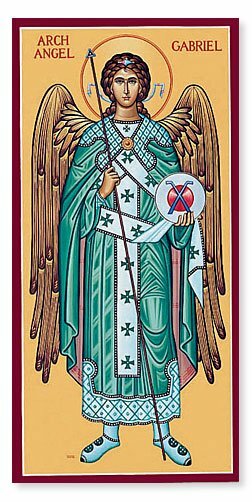 We see that Gabriel comes as the bearer of good tidings and as the comforter and helper of men. In Milton’s Paradise Lost, book iv, Milton places Gabriel at the eastern gate of Paradise as chief of the angelic guards. 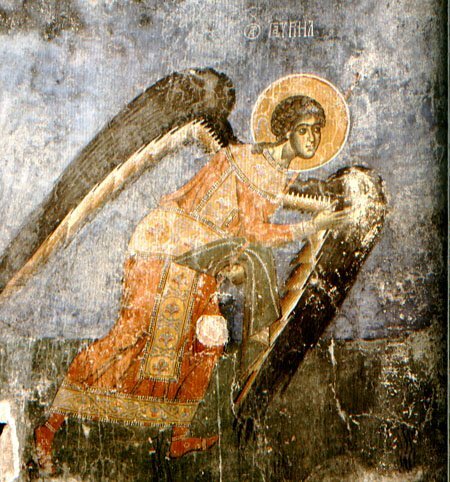 Christian tradition holds that Gabriel was the unnamed angel who appeared to Jesus in the Garden of Gethsemane. A fresco of Gabriel figures prominently in a chapel on the Appian Way, indicating that he was honored very early in the history of the Church. 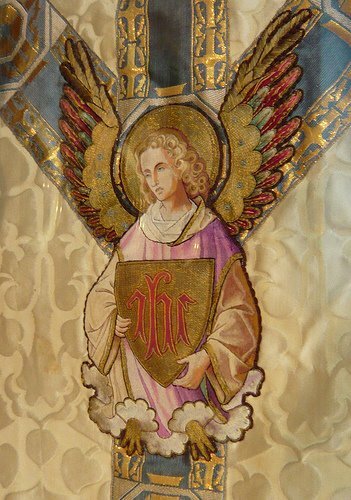 Most Christian tradition identifies Gabriel as the angel who blows the horn to announce Judgment Day, and by doing so, performs what may be the most important task of his ministry. Gabriel is the most known of the arch angels, gave you explain Daniels vision Gabriel is mentioned twice he interpreted Daniels vision for the future of Israel Gabriel inspired Moses to write Genesis all or part of it Gabriel nowhere else in the Bible other than Enoch, is representative as standing in front of the Divine throne.